Get competitive quotes on outdoor advertising in Kirksville! 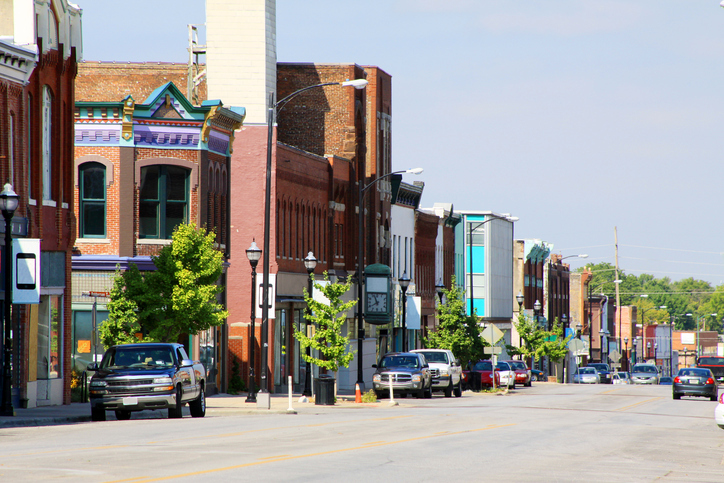 Laid out in 1841, Kirksville is a mid-size Missouri town perfect for outdoor advertising. Home to two higher learning institutions, Truman State University & A. T. Still University, Kirksville is an educational hub. It’s located along US Highway 63 & MO-6, but billboards placed on N. Baltimore Street, or E. Illinois Street would also prove to be supremely effective. Kirksville also boasts its own regional airport and is privileged to play host to the beautiful Thousand Hills State Park. More than 17,000 people call Kirksville home, so reaching them using outdoor advertising truly is an exciting opportunity. Check out the links below to learn more about other ad formats. Or go explore BillboardsIn’s massive OOH database and start planning an outdoor campaign in Kirksville today!